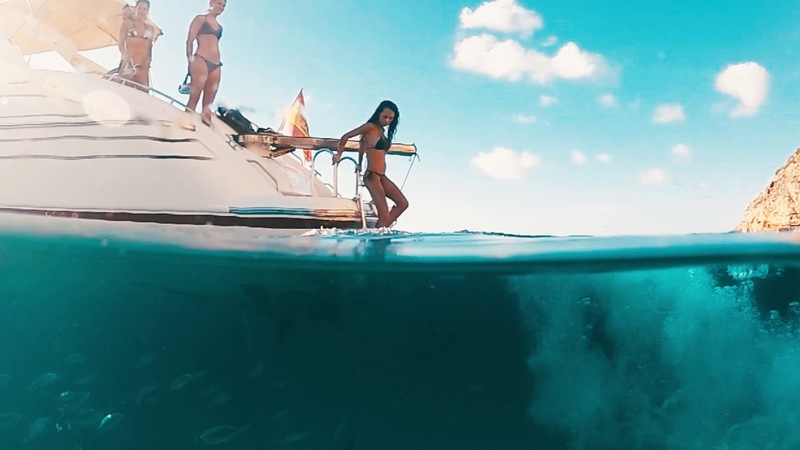 Enjoying Ibiza and Formentera from the sea is a unique experience. A day in the company of whomever you prefer, in an exclusive environment and living to the maximum the spectacular coves of the Pitiusas. If you want to spend a day on a boat with a cheaper fuel consumption we suggest a boat route between Ibiza and Formentera that you will love. We call it "star route" because it is the most followed, a classic. It consumes less fuel than the others because it uses less time of navigation and therefore of use of the engine, approximately between 1h and 1h 30 minutes, depending on whether you go directly to the beach of Illetas and return to port or if you make a stop before the island of Espalmador. If you want to spend a day on a boat with a fuel economy, we suggest a boat route between Ibiza and Formentera that you will love. It incorporates one stop more than the classic route: Cala Saona. It consumes approximately 2 hours of motor use and shows you a little more of the island of Formentera. What better route for Sunday than to end the afternoon at Blue Marlin Cala Jondal, one of the favorite fashion spots in Ibiza. If you have gone out on Saturday night, maybe on Sunday it will be a good plan to go sailing, relax in the sun on the deck with your favorite chill-out music, juices, fruit, salads, light snacks and regain strength. This route Ibiza - Cala Jondal - Ibiza, with points of interest in Escavallet, Cala Pluma, Salinas and Punta Rama, consumes approximately. Between 2h 30 mins and 3h of motor usage. This route is designed for when the predominant wind is of the West component, so that it will be better to anchor on the east side of Formentera. Before we begin we will briefly go through the east coast of the island. Just past the island of Espalmador you will find the Levante Beach, which is the opposite of the Illetas Beach, and which extends to Sa Roqueta Beach. Here the area of ​​Es Pujols begins until you reach the restaurant Chez Gerdi, from here the entire cliff area of ​​Punta Prima starts until you reach Es Caló, which extends longitudinally as the Levante beach to the cliffs of Pilar de la Mola. Right at the Faro de la Mola, the South coast of Formentera would begin. If you want to spend a day on a boat with a cheaper fuel consumption we suggest a boat route between Ibiza and Formentera that you will love. We call it "star route" because it is the most followed, a classic.